Having lots of PST files in MS Outlook account is always a headache to manage them regularly. In fact, large PST files are one of the main reason for the corruption of Outlook files. To get rid of data loss or corruption and data security issues, PST merge is the only option. Users can merge Outlook PST files either by any third party PST Merge Software or some manual technique. In this blog, I have discussed PST files, it’s importance and how to merge PST files in Outlook within few simple steps. PST( or Personal Storage Table) is basically an MS Outlook application data file format that stores various items like emails, contacts, calendars, events, tasks and other items. Need to Merge PST files in Outlook? MS Outlook is one of the popular email client application that is hugely used by the small and large organizations for exchange of information. No doubt, the everyday user receives and sends multiple files and it can result in data loss or manage risk. So to control this issue, it is necessary to combine outlook data files for easy searching and management purposes. Another reason for merging PST files is the email account linked with MS Outlook; the user can build up more than one email account on this email client. Every email account has its own PST file attached with the account as a data file. Numerous PST files are created for multiple email accounts that cause the entire jumble of work and makes the MS Outlook slow. Note: To manage PST Files, users can also try PST split Tool or PST Compact Tool. Advantages to Merge PST files in Outlook? Superb Speed: If the PST files are well-managed, then it speeds up the searching and retrieving process due to which you never need to wait a long time to open a single file. Well-maintained PST files: Once the PST files get arranged after using the merging process, then it becomes easy to handle or manage. Multi-collection of PST files: Using PST Merger method, you can easily gather all the PST files from different locations at one place for easy access. Instant Switching: Merge PST files procedure helps to switch all PST files into a new updated Microsoft Outlook version swiftly. Clean extra occupied space: After PST Merge process, the space occupied by the PST file automatically gets reduced by deleting duplicate PST files. Hence, the process quality gets increases and free up used space by the PST files. Create a new blank Outlook PST file. Import PST files into newly created (blank) PST file. Part 1: Create a new blank Outlook PST file. 1: Launch MS Outlook Application on your computer. 2: To create a new Outlook data file, Click on Home menu-> Select New Items -> Press on More Items options-> and then Click on Outlook DataFile. 3: In the Create or Open Outlook Data File window, choose a location to save the new PST file-> Click OK button to save the file. Part 2 – Import PST files into newly created (blank) PST file. 1: Click on File menu-> Press on Open tab-> Choose Import option. 2: In the Import and Export Wizard dialog box, Click on Import from another program or file from the Options-> and then Press on Next button. 3: Now, in the Import a file window, Click on Outlook Data File (.pst)-> and then Tap on Next button. 4: After that, Click on Browse button to choose the PST file that you would like to import into new PST file. Also, choose other options (if needed). Click on Next button. 5: Now, choose the mailbox folder (of the selected PST file) that you wish to import into new PST file. Additionally, you can also choose other options (if required)-> Click on Finish button. 6: Once the process will start, the importing PST files into the newly Created PST files begins. The manual procedures completely depend upon the PST file’s size and the number of PST-files you are going to merge. The manual process is very lengthy and can easily confuse the novice user to perform. It is not a full-proof solution to merge PST files without any data loss. It does not support corrupt or damaged PST files. In this blog, I have discussed the process to merge PST files in Outlook manually necessity using steps screenshots. In case, you fail to merge your PST files then you can take help of third party tool like PST Merge Software that offers security password to lock you merge files from getting misused. It supports both ANSI and Unicode files as well as offers three ways i.e. 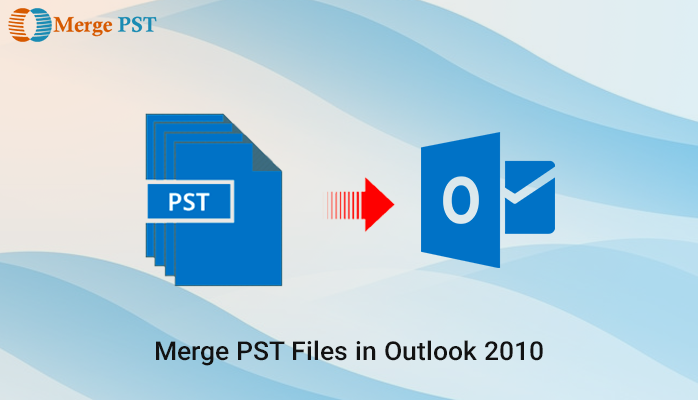 Merge contacts, Join PST, and Merge PST to combine PST files in MS Outlook. With the help of best PST merge tool, you can easily run it without any expert assistance and data loss.